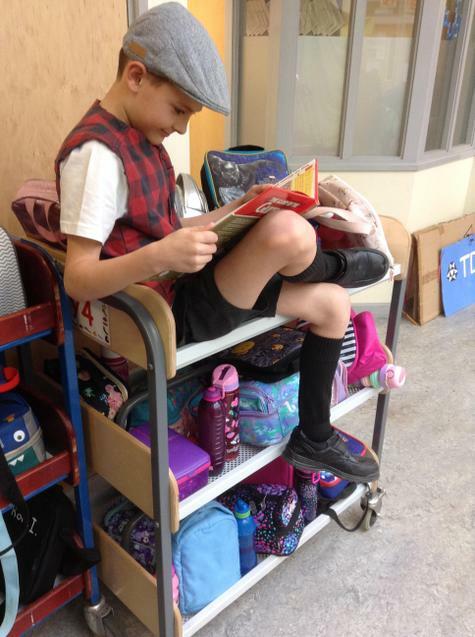 Mr Richardson is the English leader. 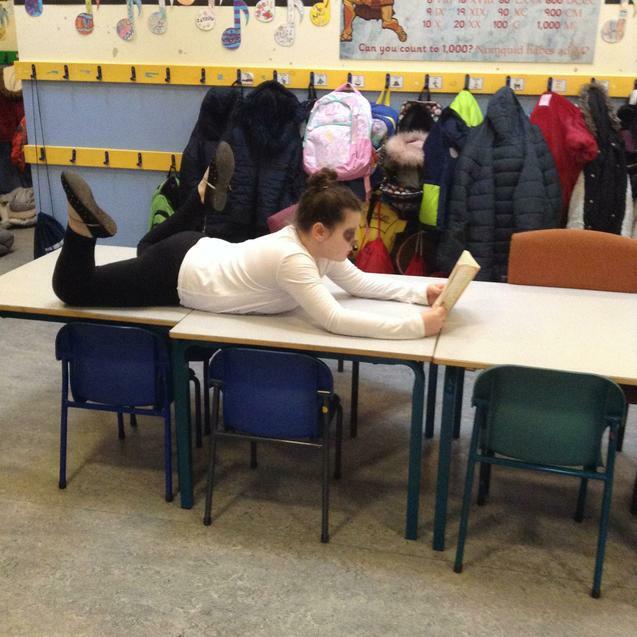 English is vital for communicating with others in school and in the wider world, and is fundamental to learning in all curriculum subjects. 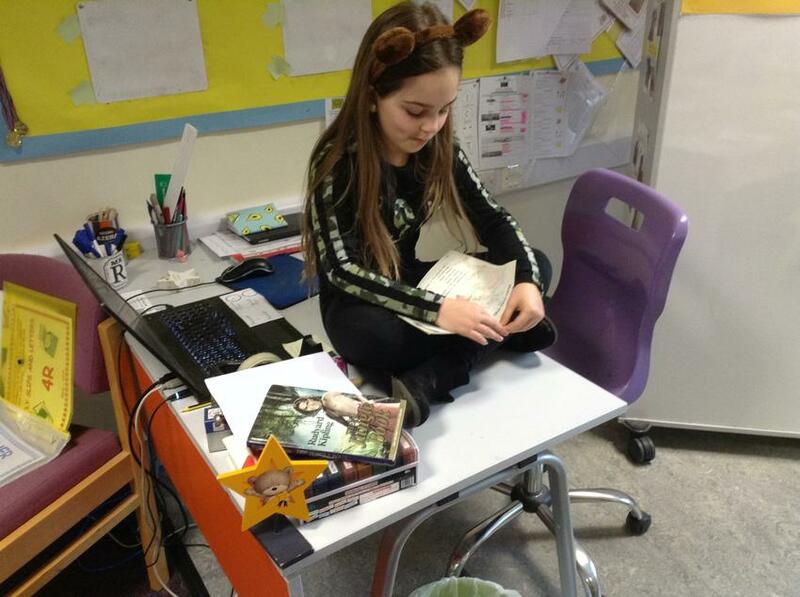 In English pupils develop skills in speaking, listening, reading and writing through a broad and balanced curriculum. 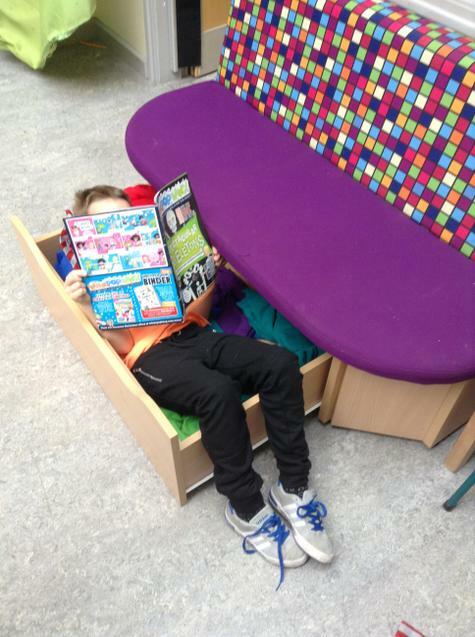 We have purchased new books that are attractive and inviting for the children. 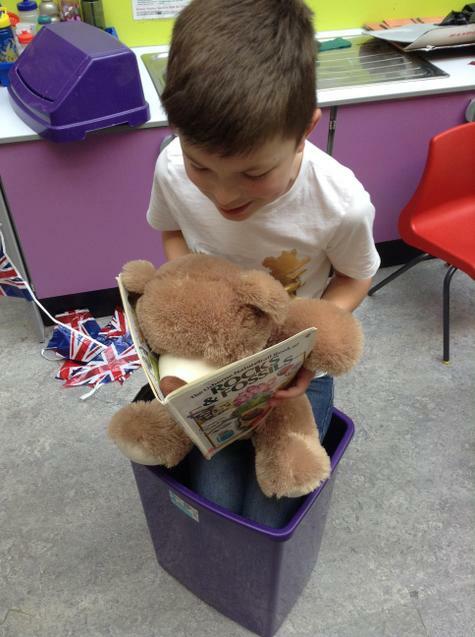 The books allow the children to practise the phonics skills they have learned in school to blend and segment words. 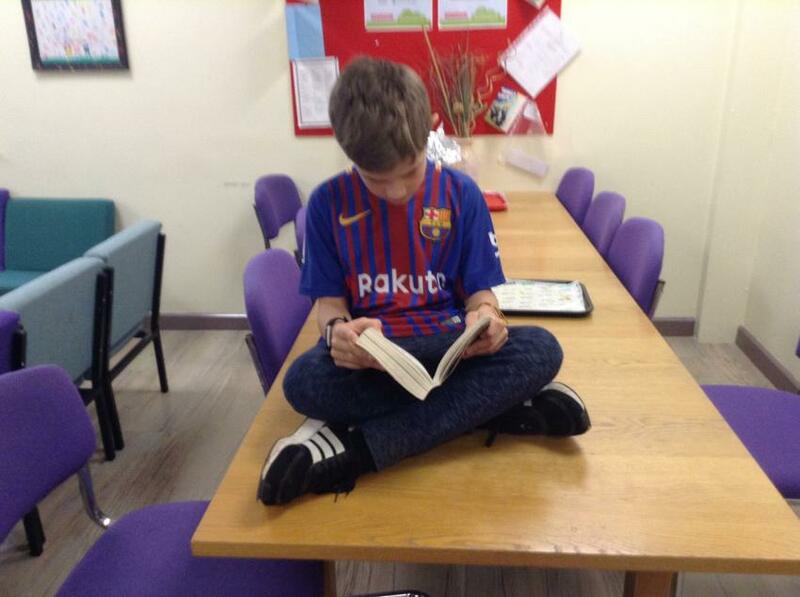 During World Book week 2018 we had a sponsored Read-a-thon where the children in schooled raised an AMAZING amount of money that we used towards boys to engage the older members of the school. 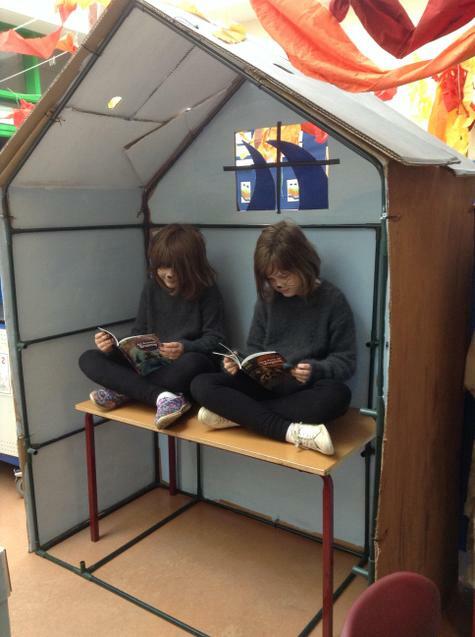 Every other Tuesday we have a Reading Buddies session during assembly. 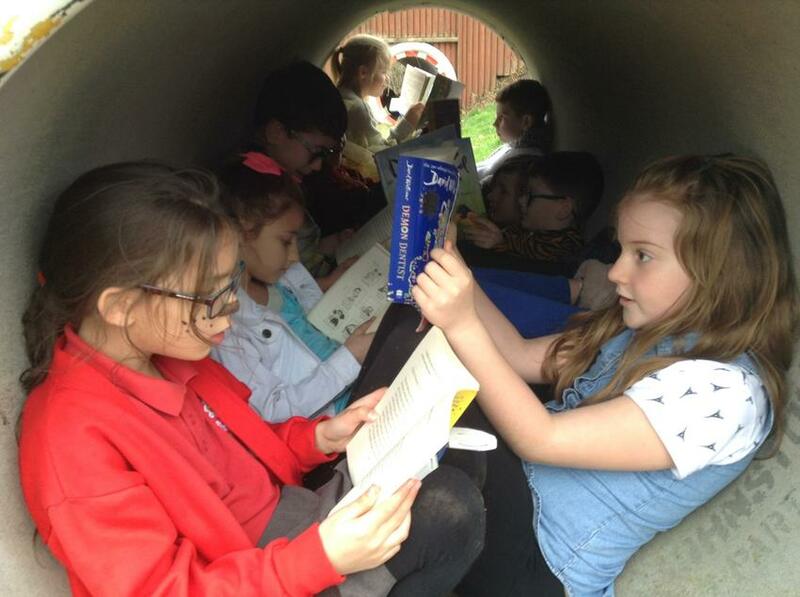 This is an opportunity where the children from Year 4 read with children in Year 2 and the children from Year 3 read with children from Year 1. 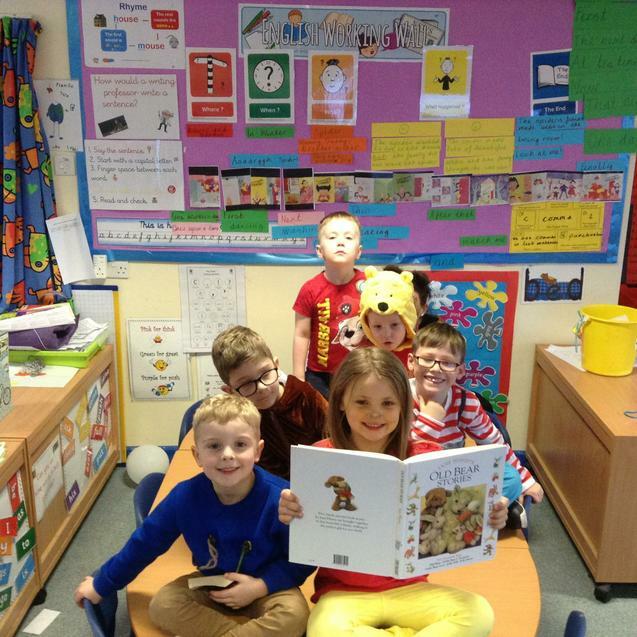 The children share a book and talk about their opinions of the book, the children enjoy this experience. 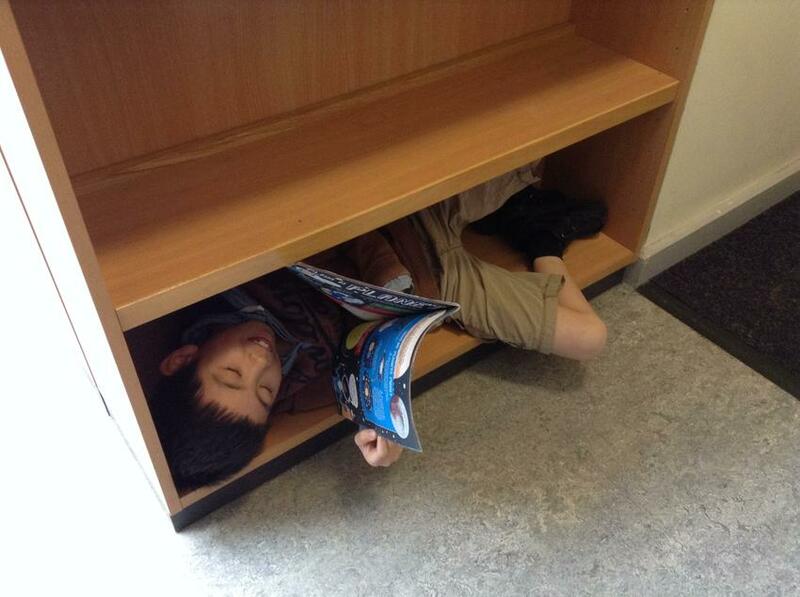 Every English topic that is taught is guided by a book. 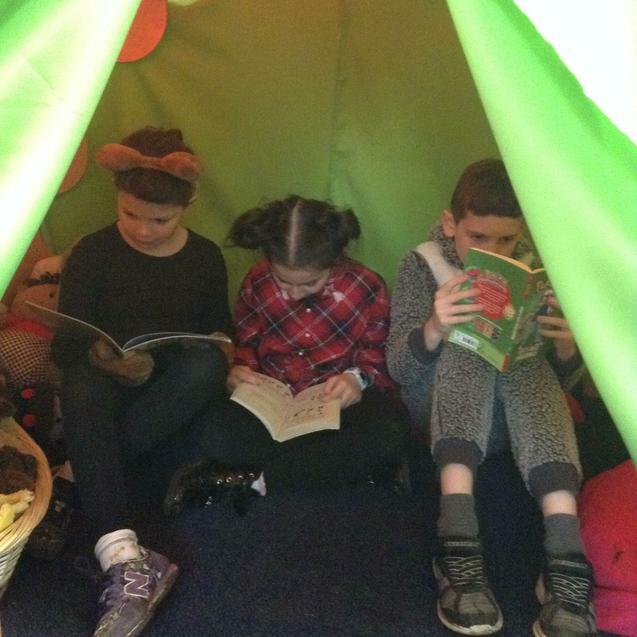 The children are immersed in to the book and all the learning that takes place during English lessons is from the ideas of the book. 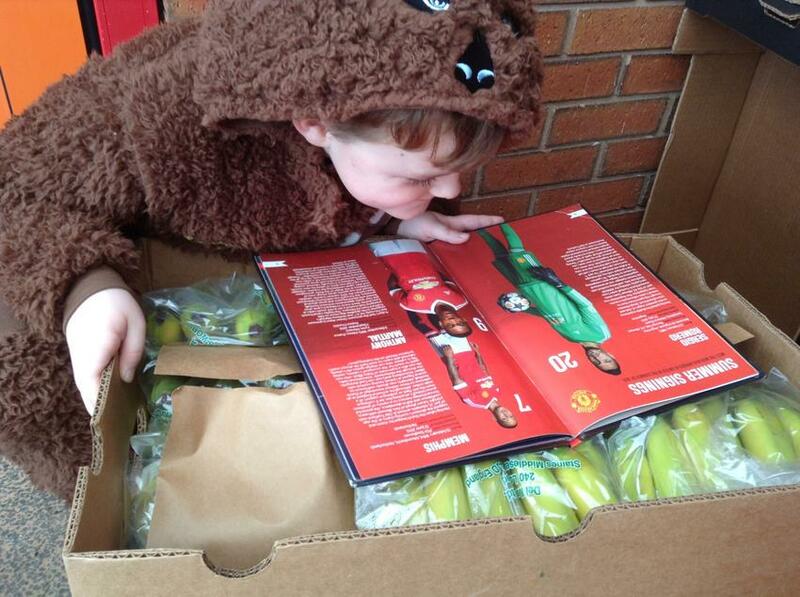 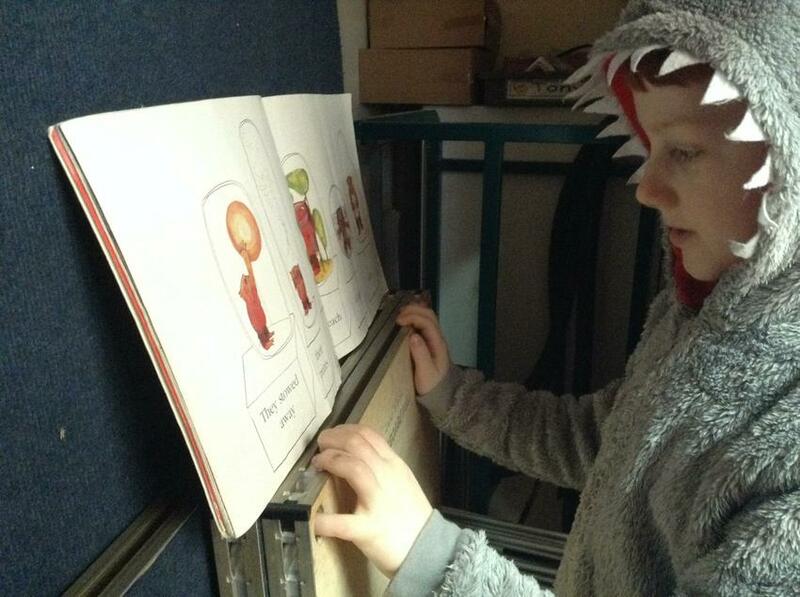 Children enjoy the variety of texts used and become engrossed in the teaching of the book. 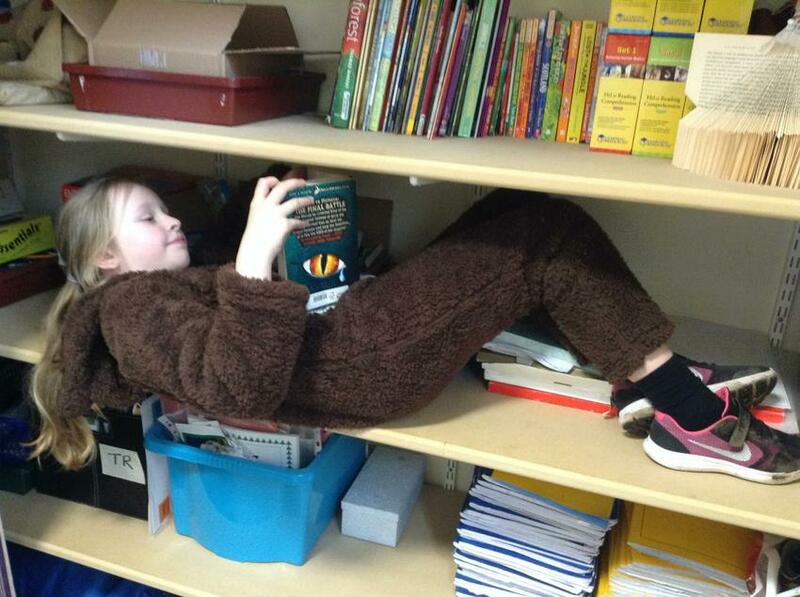 Each year group has been assigned a class author. 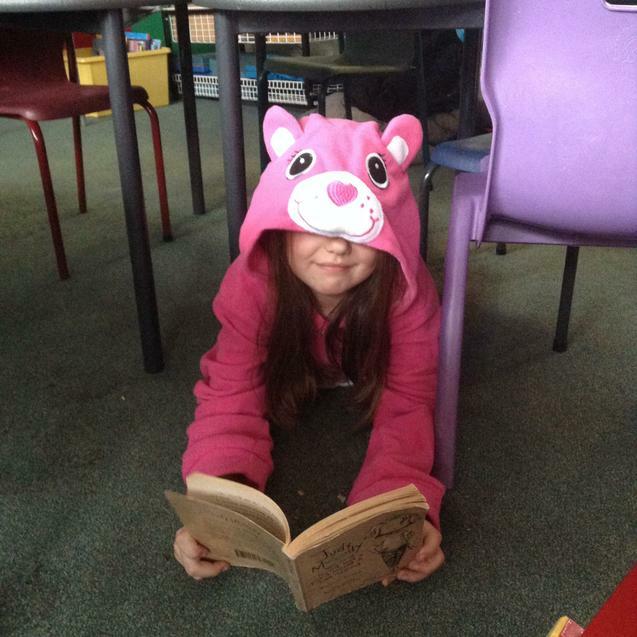 During daily shared reading time the teacher will share books written by this author to help the children gain an understanding of the style in which the author writes, characters they use and any similarities between stories. 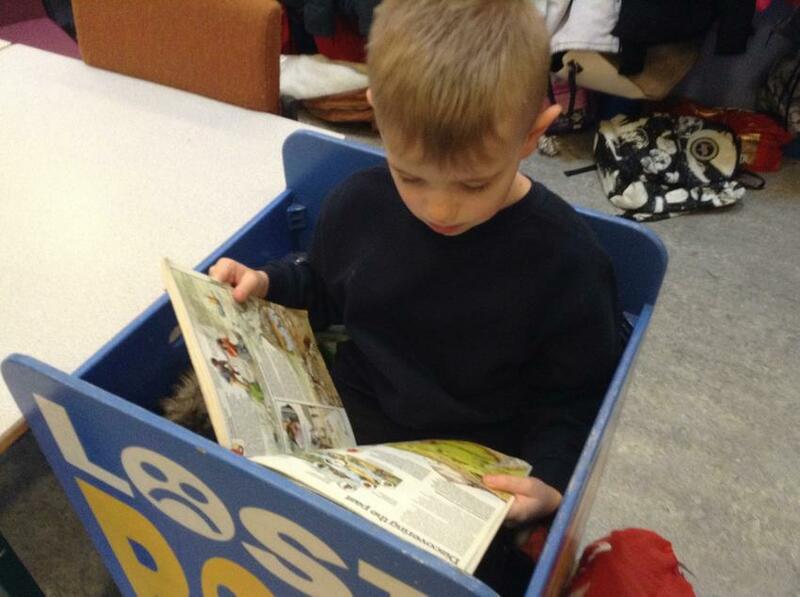 Bug club is a useful tool both at home and at school. 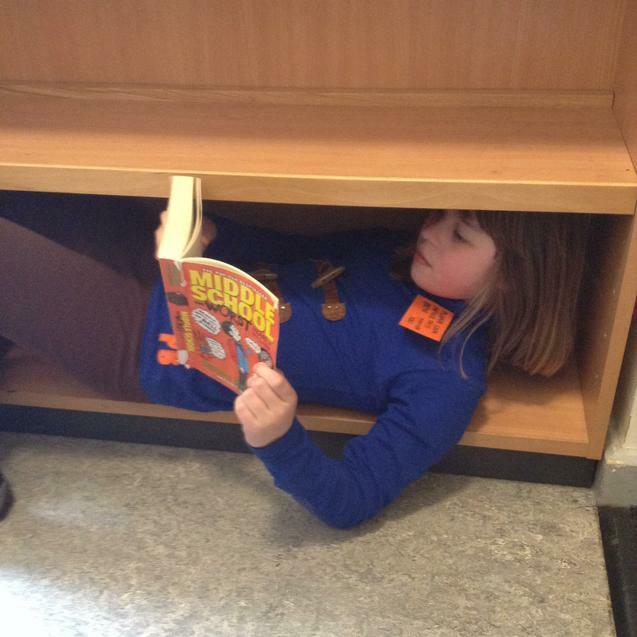 As a school we load books on to the Bug club system. 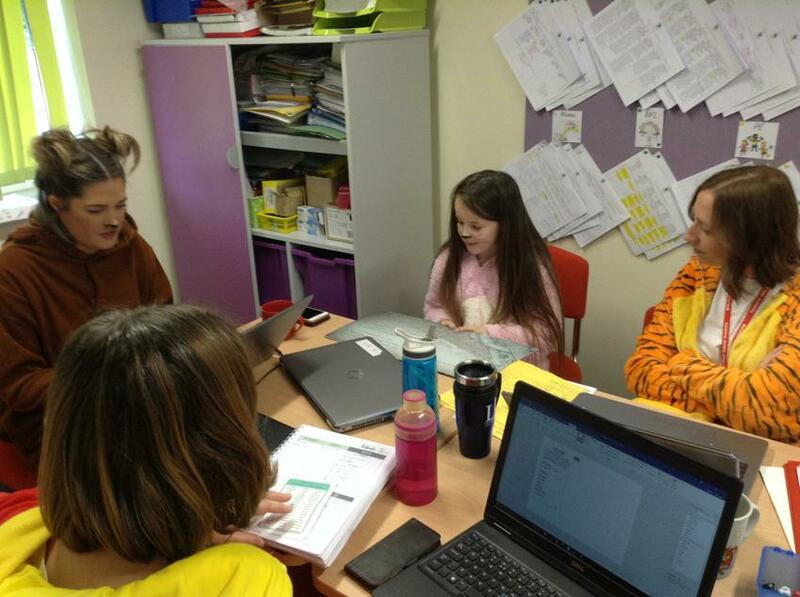 It allows the children to read books on a computer or tablet and then answer comprehension questions about what they have read. 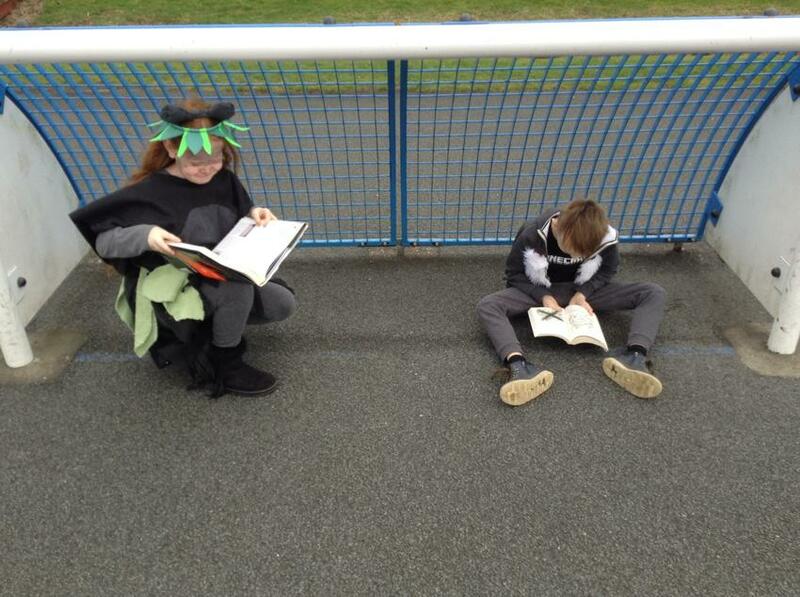 We find this encourages reluctant readers. 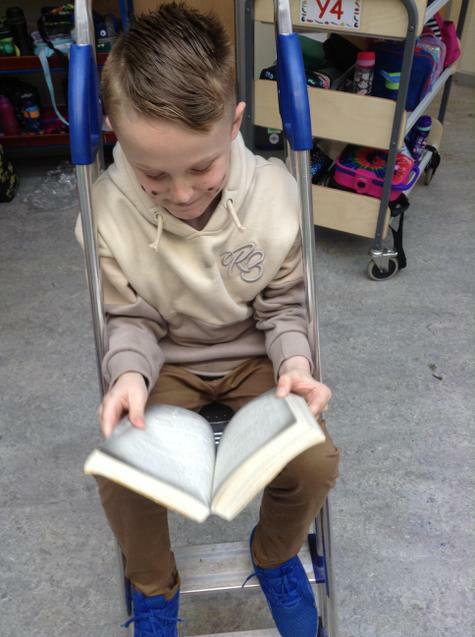 We know that extending learning beyond the classroom is essential for the children to understand life long learning so we have implemented a reward scheme for Home Learning. 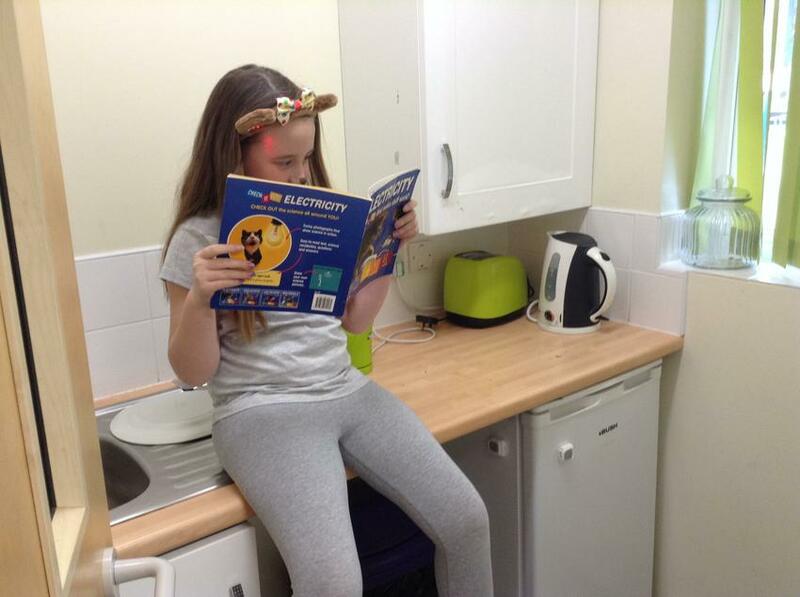 Through a half term, if children complete 15 pieces of home learning (including reading) they receive ‘Bronze Learning Loot’, 20 pieces of home learning they will get ‘Silver Learning Loot’ and 25 pieces of home learning they will earn ‘Gold Learning Loot’. 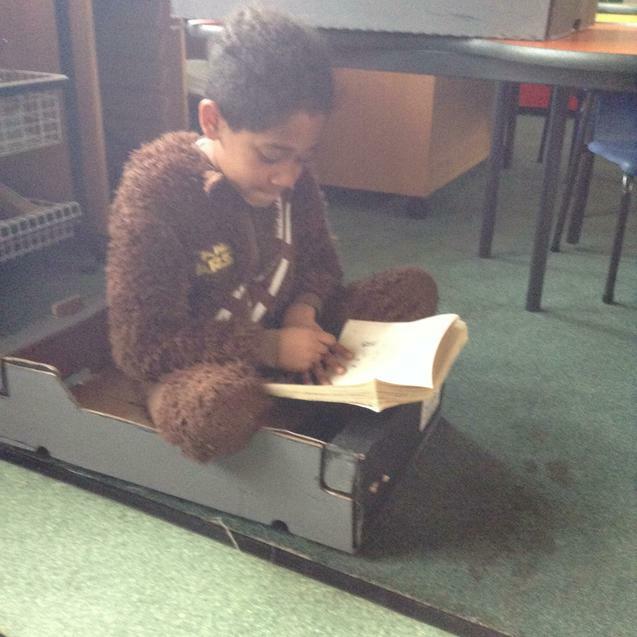 At the end of each half term they will get the chance to go to the ‘Homework Hut’ to spend their Learning Loot on small prizes such as pencils, gliders, teddies etc. 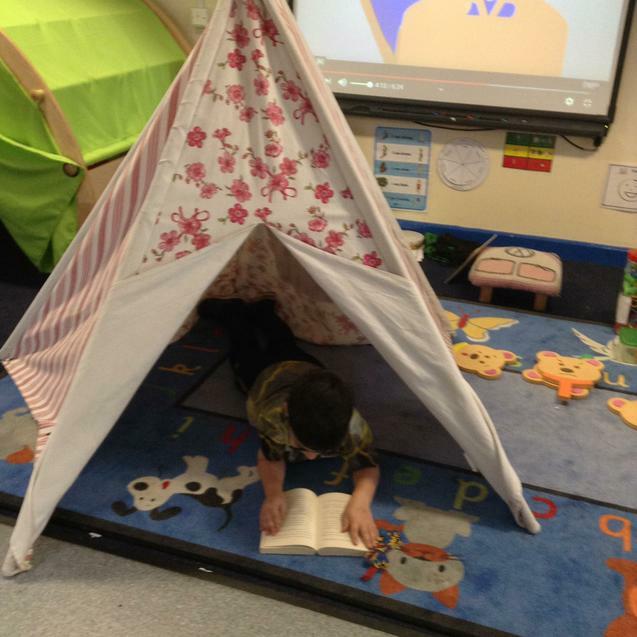 We regard writing as an essential skill for life so encourage the children as soon as they come in to school to start making marks, In Reception they do this in an informal, fun way by making patterns in the sand, shaving foam, in the mud, on large paper etc. 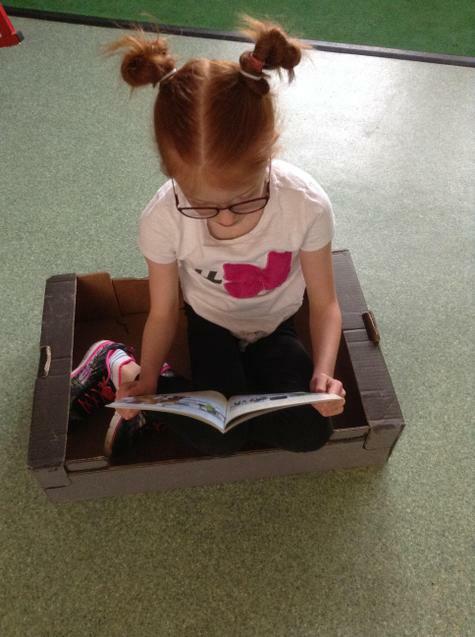 This then progresses into smaller, more controlled movements and letter formation. 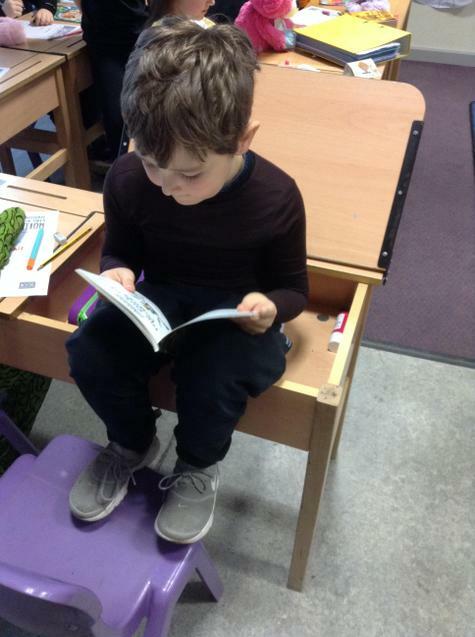 We use a pre-cursive handwriting style as we believe that fluency in the hand help helps fluency in the brain allowing the children to express their ideas without thinking about their letter formation. 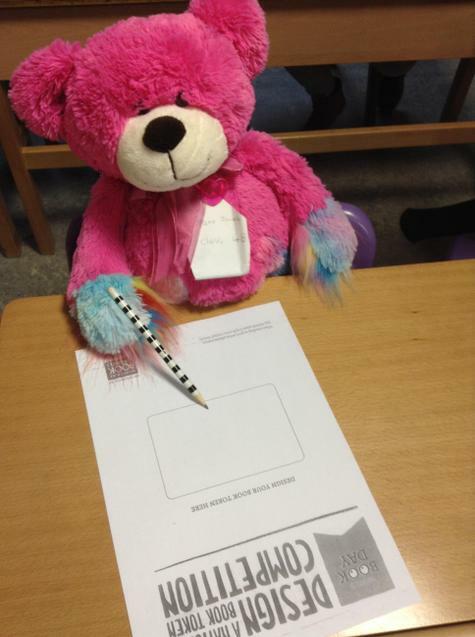 As the children become more fluent with their handwriting they can earn a ‘Pen License’ which allows them to write in a handwriting pen. 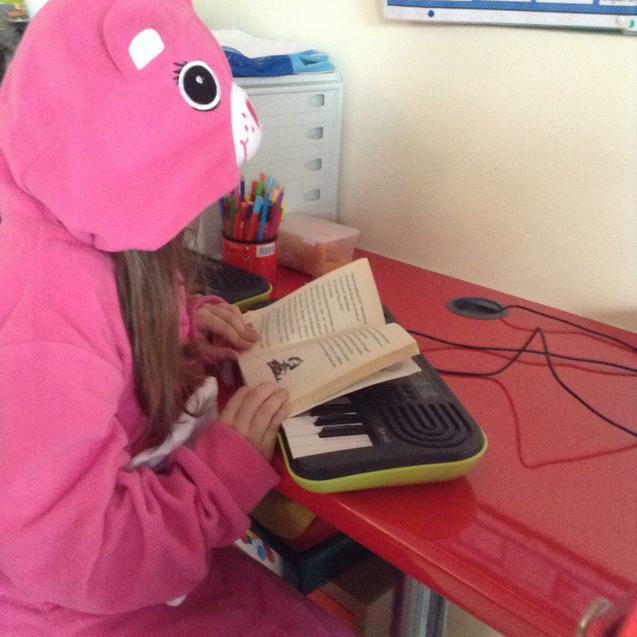 Children experience writing in different genres and for different purposes during English lessons and beyond. 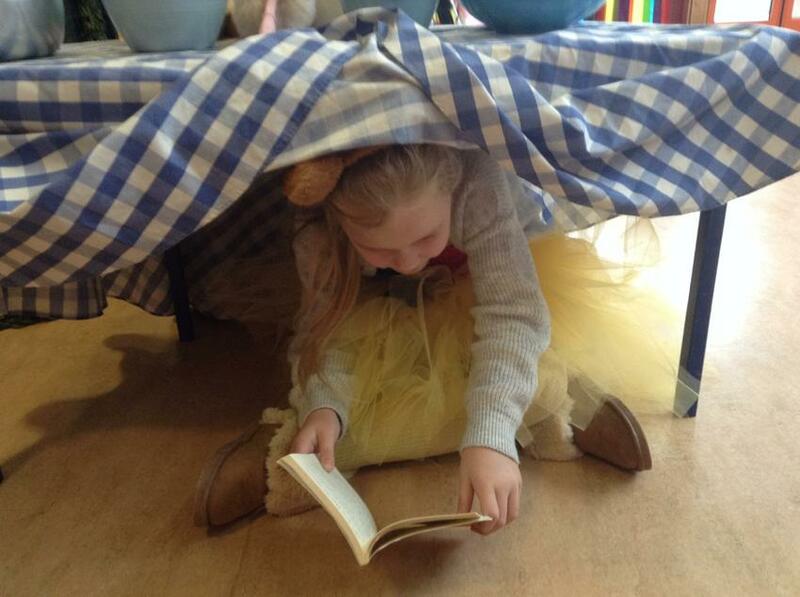 The children are exposed to, and enjoy fiction, non-fiction and poetry writing in each half term. 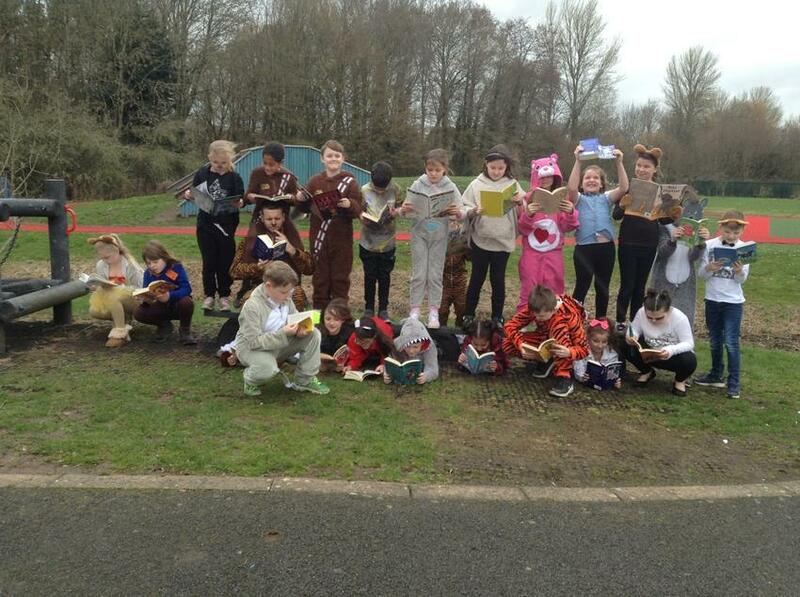 World Book Day 2019 - It was great to see well known characters being brought to life throughout the school. 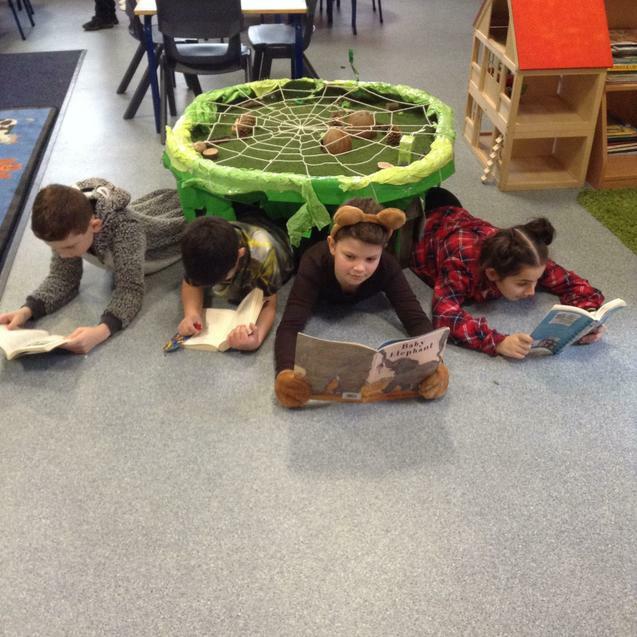 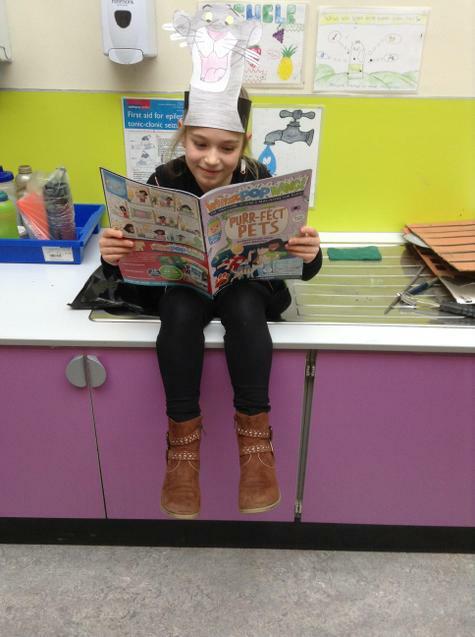 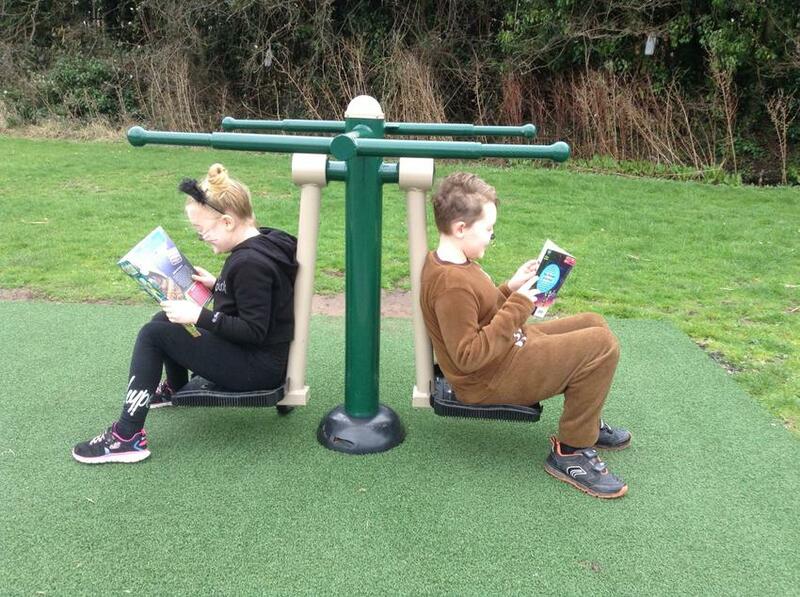 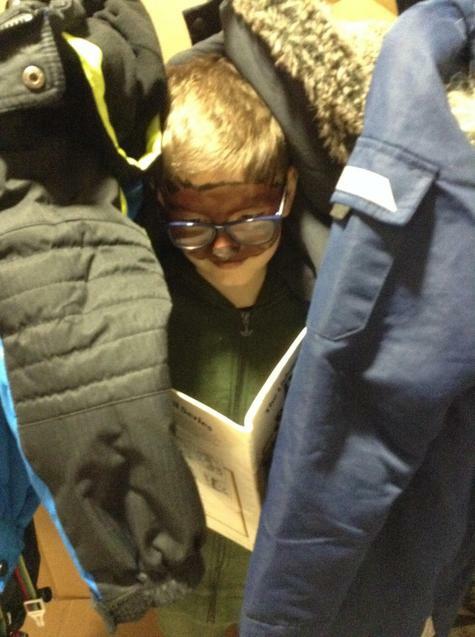 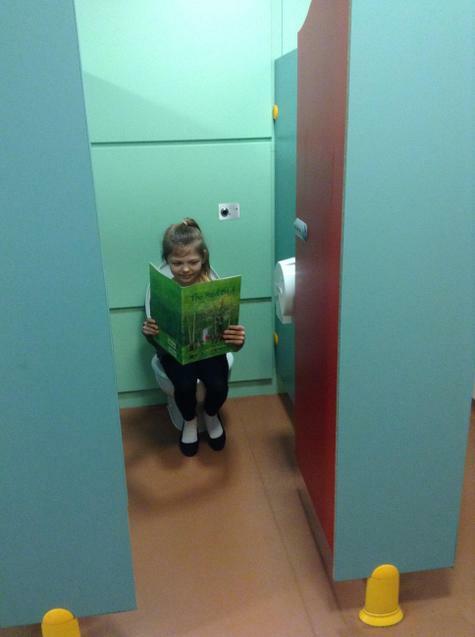 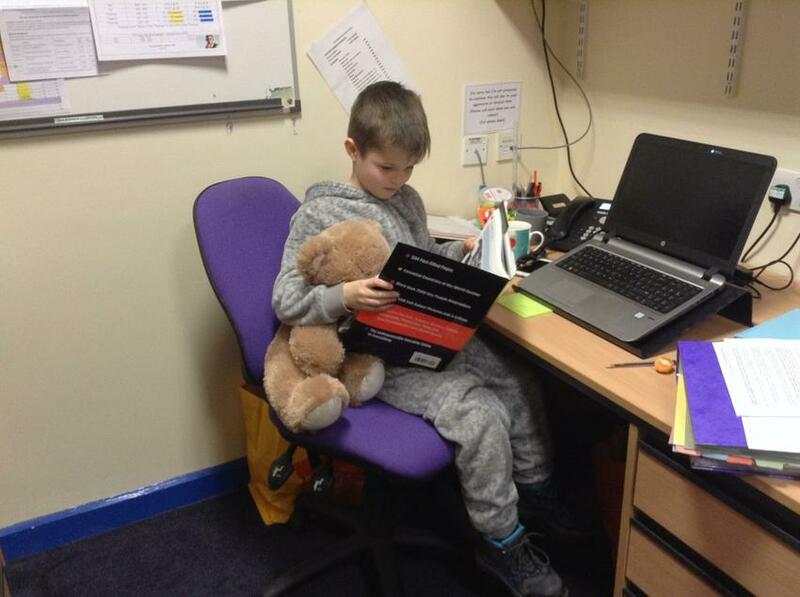 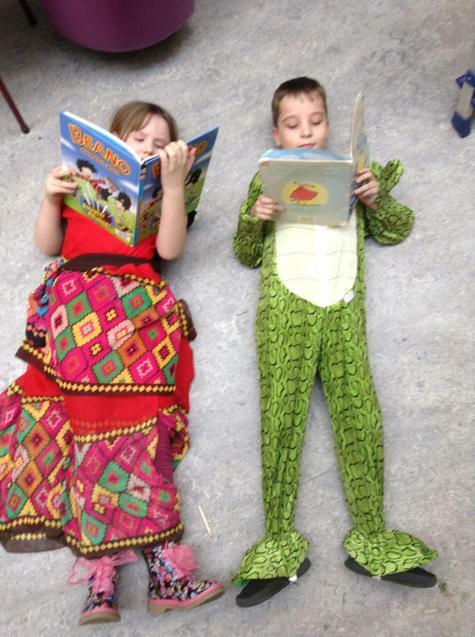 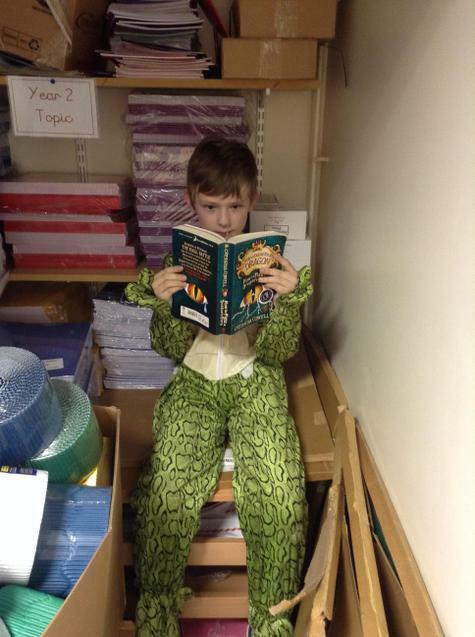 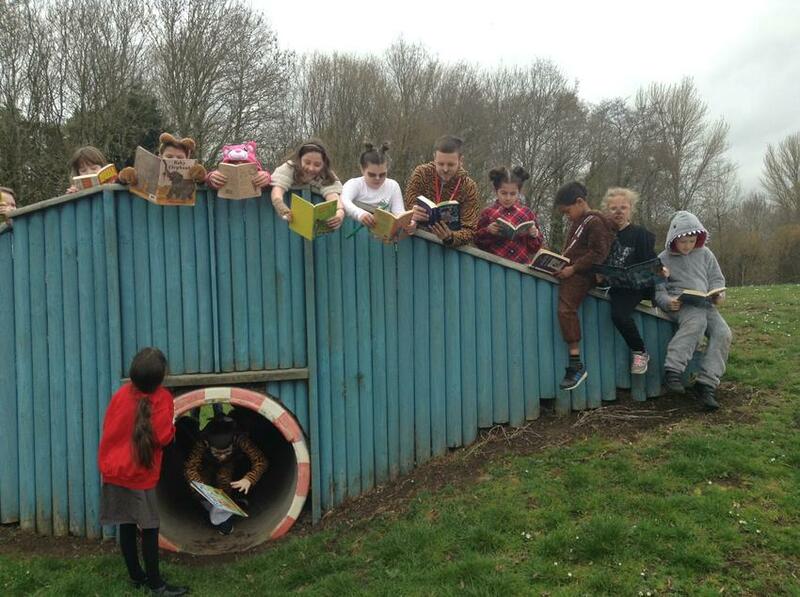 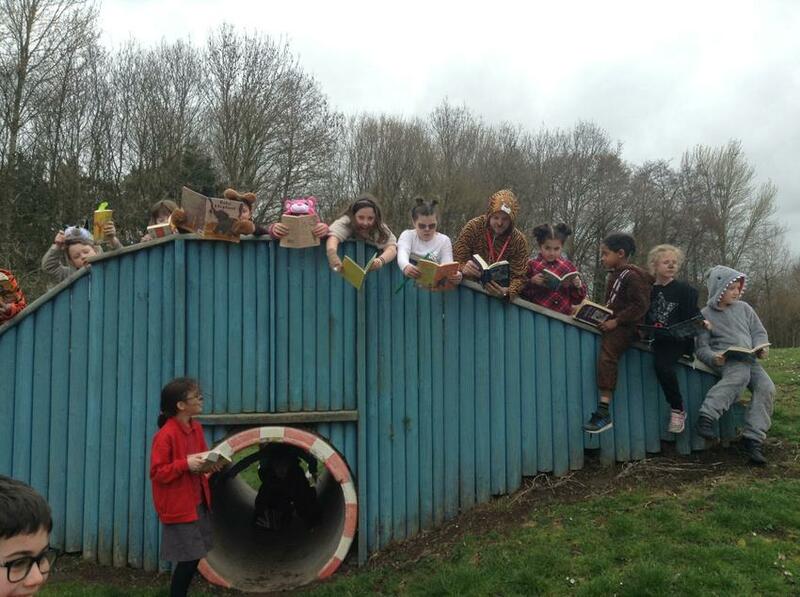 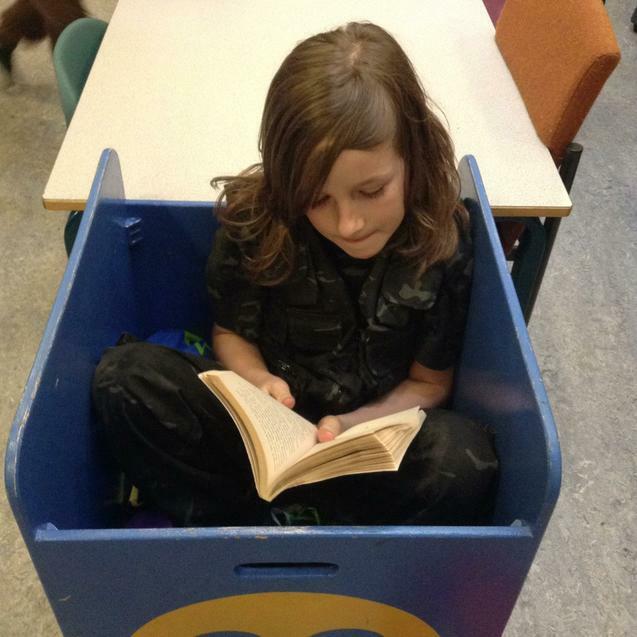 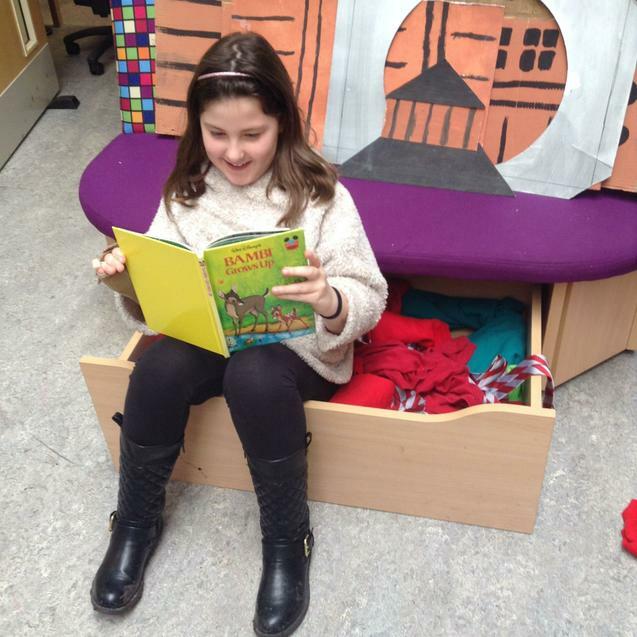 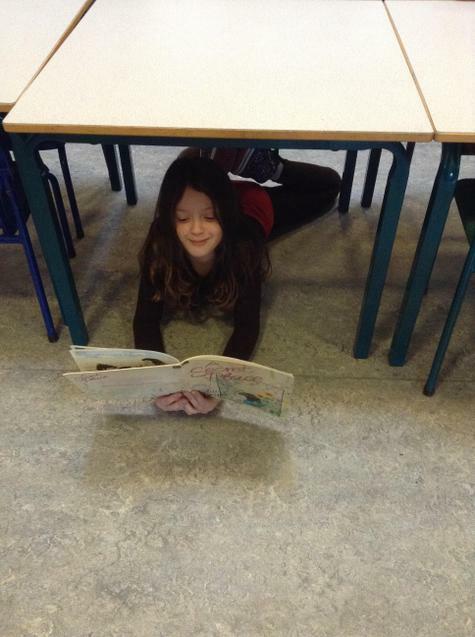 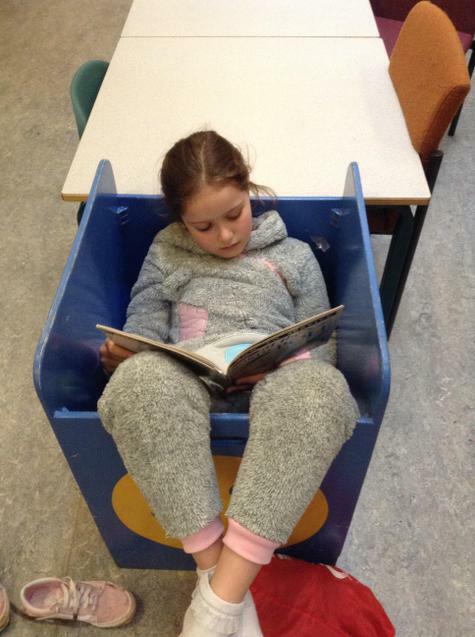 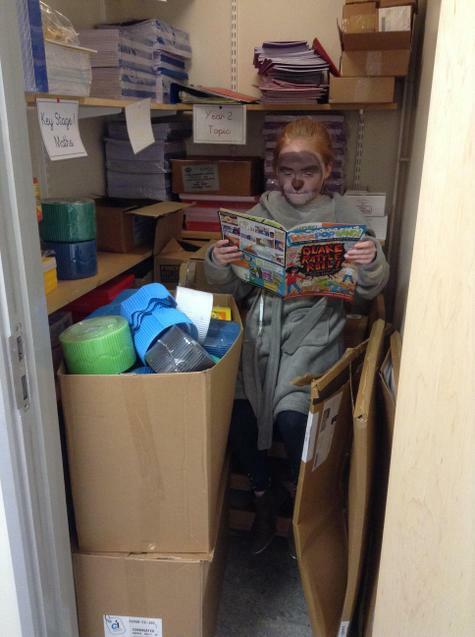 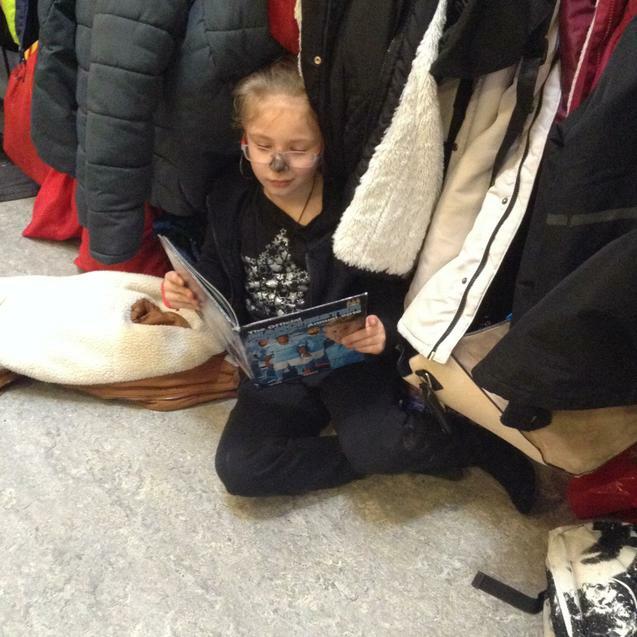 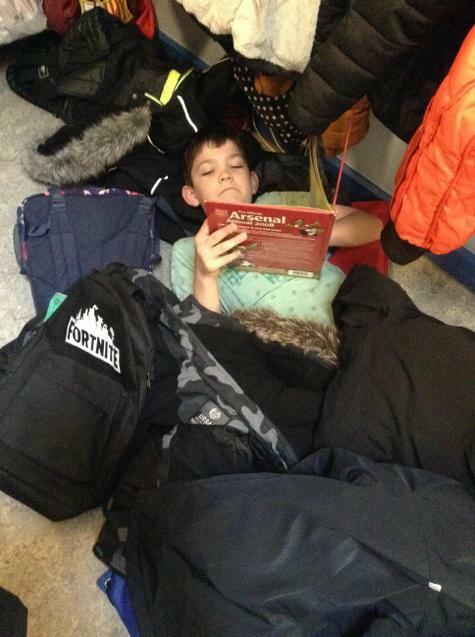 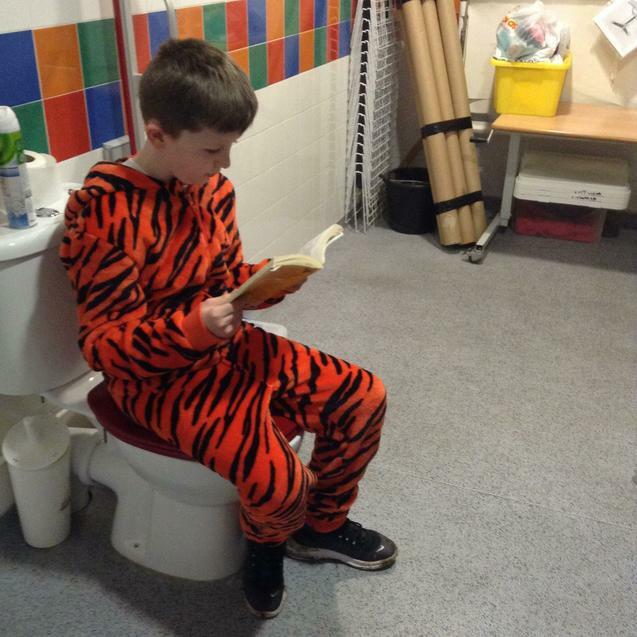 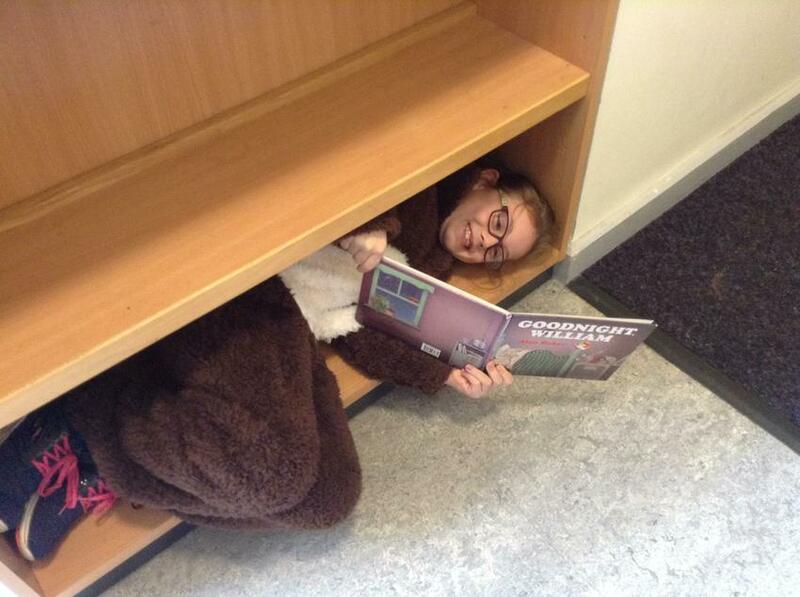 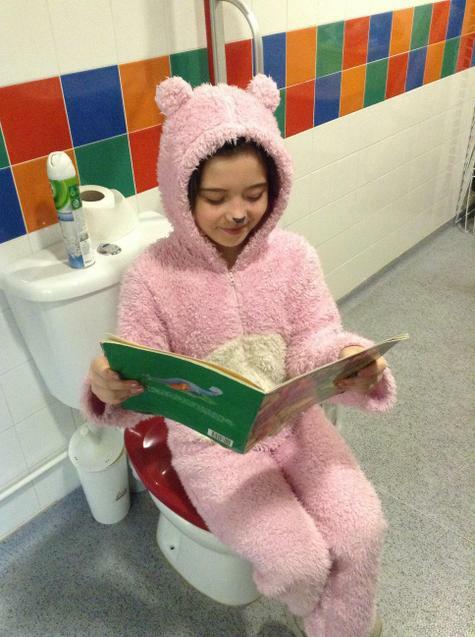 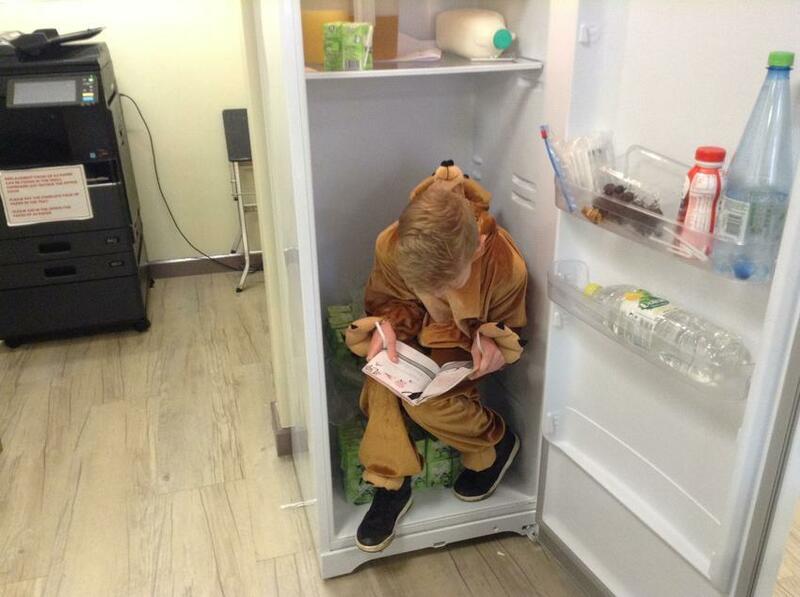 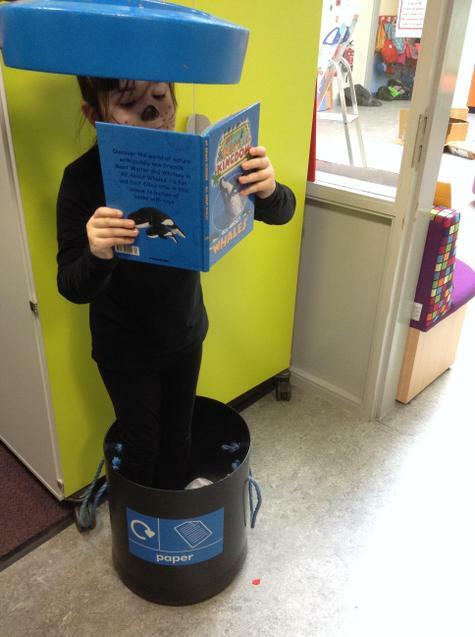 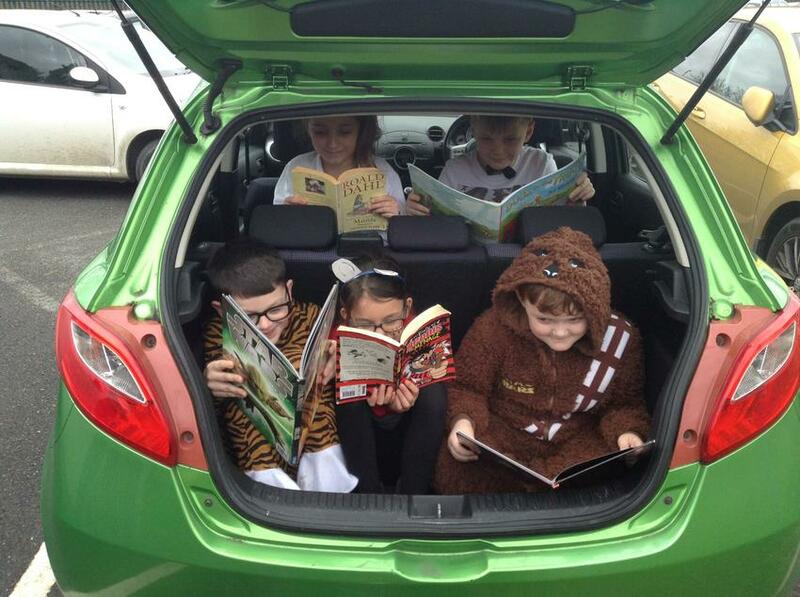 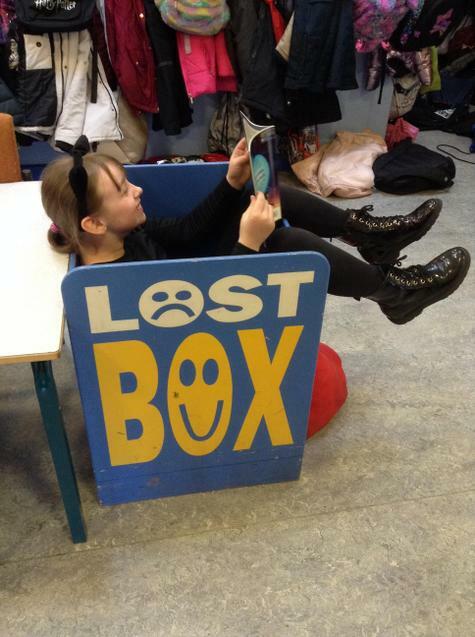 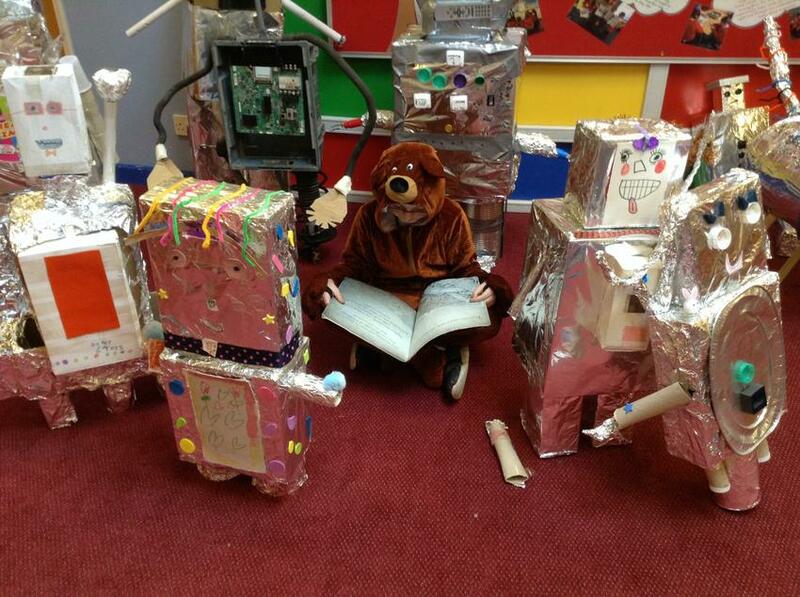 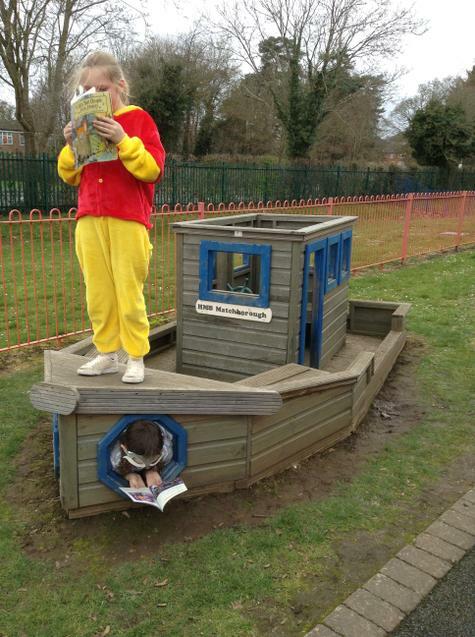 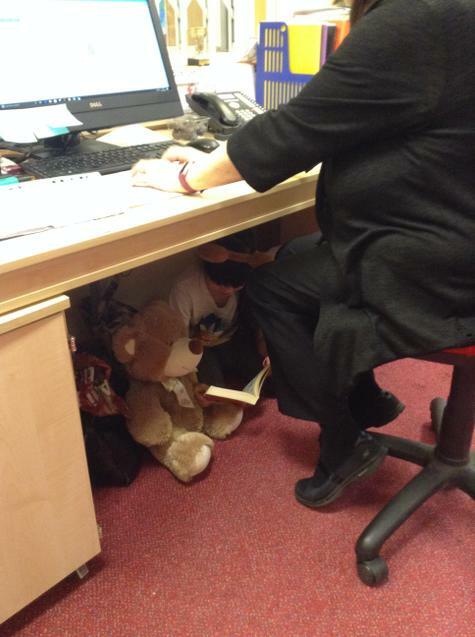 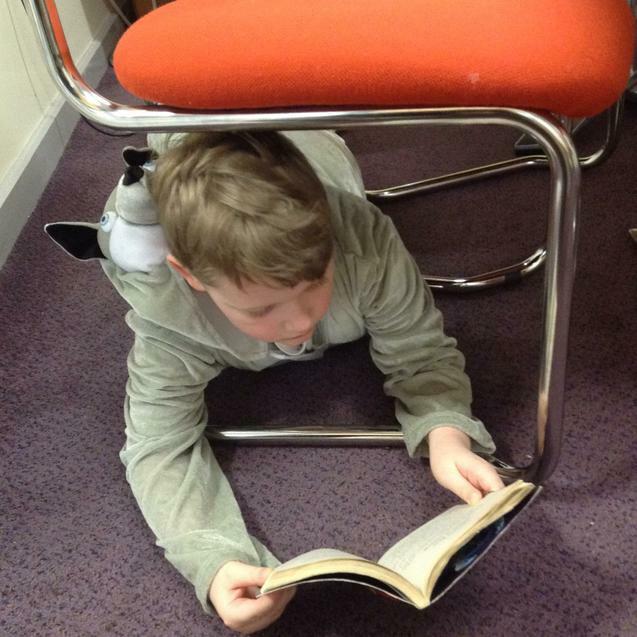 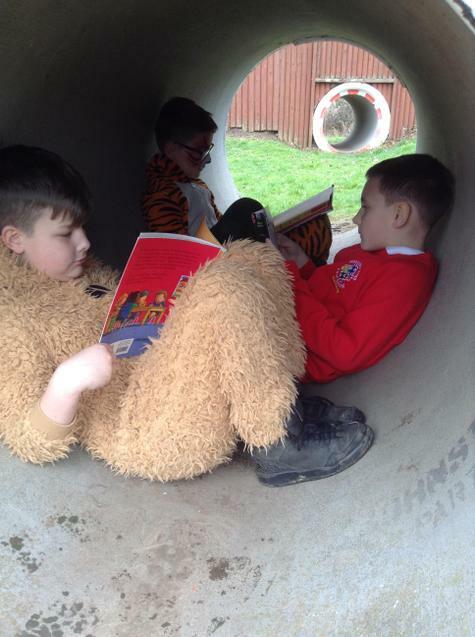 Take a look at all the unusual places we have been reading to celebrate books!